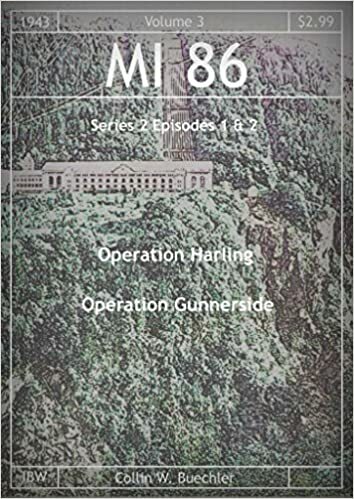 Released at the beginning of this week MI86 volume 3 contain two James Dennesy Adventures, Operation Harling and Operation Gunnerside. You can google both and find out how tremendously successful those two real world missions were in setting Germany back on their desires to rule the world during WWII. 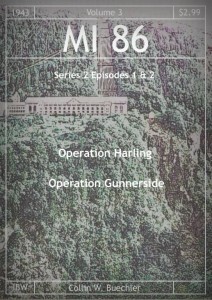 On the other hand you could pick up MI86 volume 3 and learn a little bit about the real life heroes as you follow the adventures of Collin W. Buechler’s undead Gunnery Sergeant James Dennesy as he battles the forces of the Baron Von Sterb. We actually recommend doing both since those that fail to understand history are doomed to repeat it. A sample of how the adventure begins after the leap. 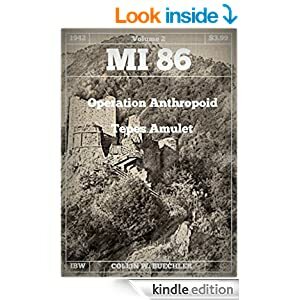 MI86 V3 is available in ebook from Amazon for $2.99. ebook Available 7 December 2015 for $2.99 at Amazon. December 7th is right around the corner, as is the launch of the next installment of Collin W. Buechler’s MI86 series. This book is presently available for pre-order at Amazon as an ebook, with delivery automatic on December 7th, just in time to remember the heroism of our brave men and women who died at Pearl Harbor. We are presenting a first draft snippit of MI86 Operation Gunnerside; which is episode 2 of season 2. We find ourselves in the mountainous region of Norway after crash landing a glider and being quite a bit lost. Not much else set up is needed.